How to Upgrade a Windows Phone 7.1 project to Windows Phone 8? 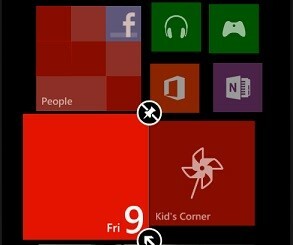 One of the beautiful feature in Windows Phone is the Live Tiles. 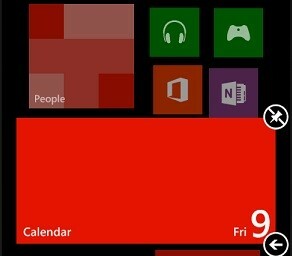 The Windows Phone 8 provides some additional customization options for the Live Tiles in the start screen of the Windows Phone. One of the important customization option is the ability to change the size of Live to the built in size like small, medium, large etc. You can resize the tile, just tap and hold the Tile. This will enable the unpin and resize option will be enabled. Tap the resize button with in the tile which will resize the tile to the next available size. 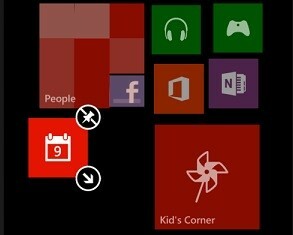 You will also be able to drag and place the tile in different place of the start screen.